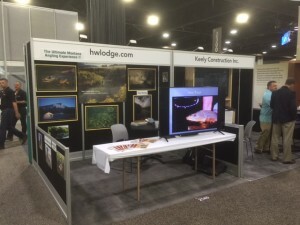 Mike is in Atlanta for the next few days hosting our Healing Waters Lodge booth at a convention. He has great reviews about the vendor community and is looking forward to meeting the convention participants. We are an Orvis endorsed fly fishing lodge in Southwest Montana with access to private water, plus quick and easy access to the Beaverhead, Big Hole, Jefferson, Madison and the Ruby rivers. We also have some spaces available on our Smith River guided fly fishing float trips, 5 days/4 nights of safari style camping down 59 scenic river miles. Call Mike today at 406-459-2030 to talk about your 2016 fly fishing vacation in southwest Montana.